Discover how Jedi Padawan Caleb Dune became Kanan Jarrus, the cocky, sarcastic renegade hero of Star Wars: Rebels! As Caleb trained under Master Depa Billaba, neither one of them ever suspected that their "loyal" Clone Troopers would turn on them upon the issuing of Order 66 - the Emperor's directive to execute all Jedi. How did Caleb Dune escape the Jedi purge? Then, journey even further back and experience Caleb's very first adventure as a Padawan, protecting the Jedi Temple alongside his new master. As they head toward the furious Battle of Mygeeto, they'll face one of the deadliest threats in the entire galaxy: General Grievous! Bridge the gap between the Clone Wars and Star Wars: Rebels! 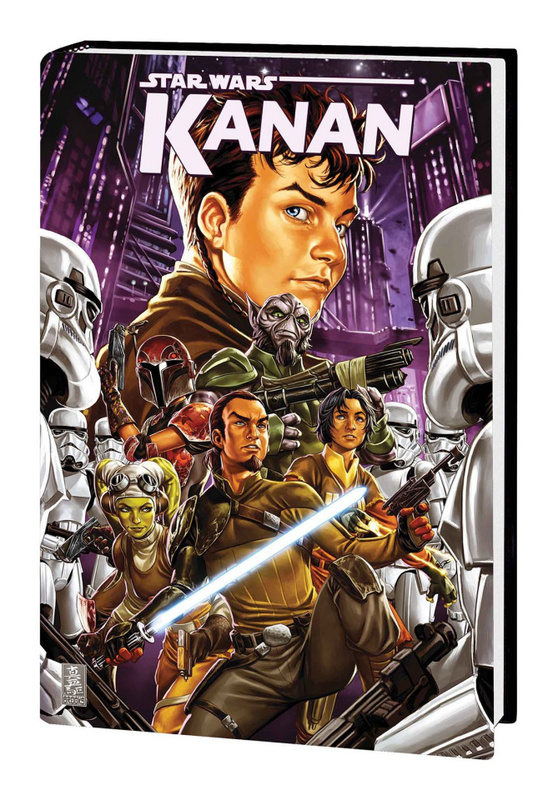 Collecting KANAN - THE LAST PADAWAN #1-5 and KANAN #6-12.